Have you noticed an epidemic of broken interactive maps on websites that used to work just fine? You may have been greeted with an image like the one below instead of the interactivity you were expecting. Website owners and developers have enjoyed the power and freedom of Google Maps for many years, but for some those days are going away. Beginning on June 11, 2018, Google Maps requires all websites have a unique API Key (or else you’ll see an error like above) and high-volume websites will now be required to pay Google for the use of Google Maps. Pay?!! 😳 For Google Maps??!! Yes. The good news is that 90% of builder websites will still use Google Maps for free, but there are still some requirements to retain access to free use of the platform. The Google Map on my website looks like the error message above. How do I fix it? That error probably means you or your web developer need to request an “API Key” and connect it to your domain name. Google has begun blocking almost all requests for a map that don’t include an API Key. See how you can get one below. What is an “API Key”? An API Key is a unique identifier that an application uses to identify activity and communicate with other applications. Your website communicates with Google Maps, and Google wants you to have an API Key so it can identify your website’s activity. API is an acronym for Application Programming Interface. Do I have to pay for a Google Maps API Key? No. Google Maps API Keys are free, but you will need to add a valid billing/credit card. Costs are only involved when the use of Google Maps exceeds the “free tier” (details below), but Google requires the billing information to activate the account. How do I get an API Key for my website? You or your web developer will need to create a Google Cloud account. Try this link to the Google Maps Platform page to get started. What do I do with my API Key? The process to add your API Key is technical, so your web developer or technical contact on your team will need to handle this step. The process of adding the API Key will be simple for even a mildly experienced web developer. Do I need to protect my API Key? Absolutely, yes. Since your API can be easily read by looking at the source code of your website, it is important that your web developer restrict the use of your key; only allowing requests that originate from your domain name. This is a simple step during the API Key creation process. Without this, or similar protection, website owners that don’t want to pay for their own key can copy and use yours instead – and you’ll get charged for their usage. How much will Google Maps cost me? If you’re like most builders, Google Maps will remain free. 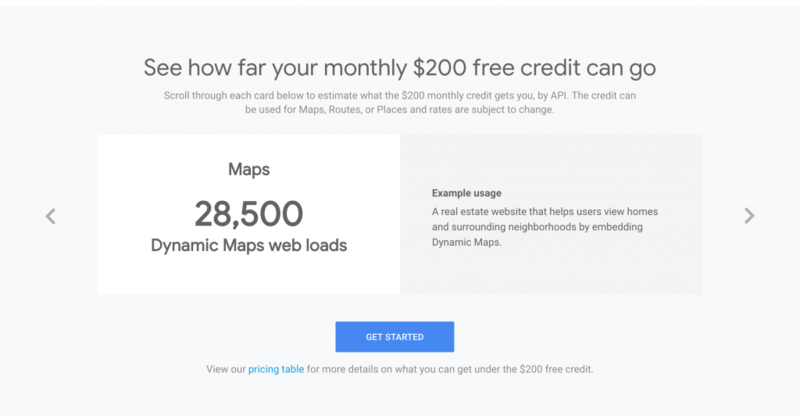 Google is stating that all accounts receive “$200 of free Google Maps usage each month.” I find this language to be suspiciously easy to modify later, but that’s another blog post. That $200 of free use for your account each month means you can load 28,500 maps for free. Most builder websites only include a Google Map on search, community, or spec pages, but if you have a map on every page of your website this means Google Maps is free provided your Page Views metric in Google Analytics is less than 28,500 each month. What about other Google Maps features? If your website uses Google Maps to highlight attractions around your communities (schools, shopping, etc), display turn-by-turn directions, calculate distance, etc, all of those requests get counted separately. This means you may reach the billable threshold with less than 28500 page views. View the full Google Maps API pricing here. Mapbox – In case you were wondering how you could spend more than Google Maps. [Update 11/13/2018]: Either I completely misread Mapbox’s pricing page, or they’ve lowered their prices significantly since I first wrote this post. As of this date, Mapbox is offering a generous 50,000 map views at no cost. Based on some early conversations, the most common barrier keeping zillions of sites from migrating is the development workload. Moving from Google Maps to Mapbox requires a substantial code rewrite. 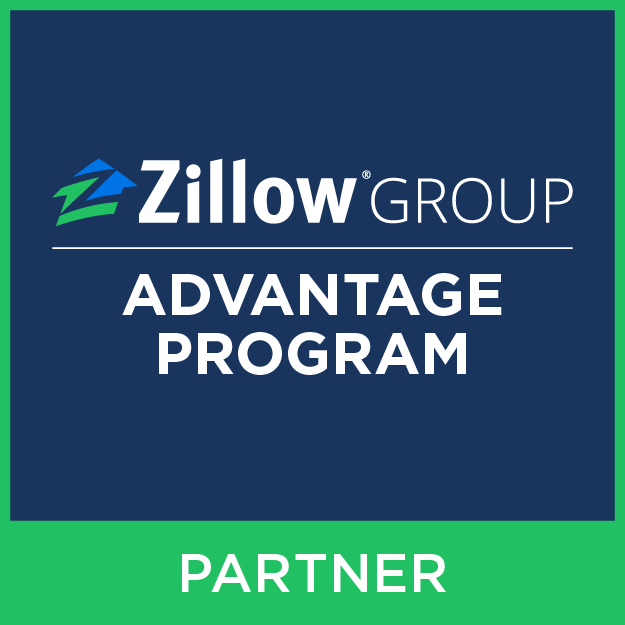 For many, this has been too high of a direct and opportunity cost to make the move (for now). If you already have your API Key, you’ve added billing information to your Google Cloud account, and you’ve protected the use of your API Key, the only thing left to do is watch your billing account. It’s hard not to think about how spoiled we’ve been to have free, unlimited access to an amazing service like Google Maps for so long. No one wants to pay for something that was once free. However, should you find that your traffic grew past the free tier, I’ll join you in celebrating that growth, and shrugging off a few hundred dollars paid to Google Maps.